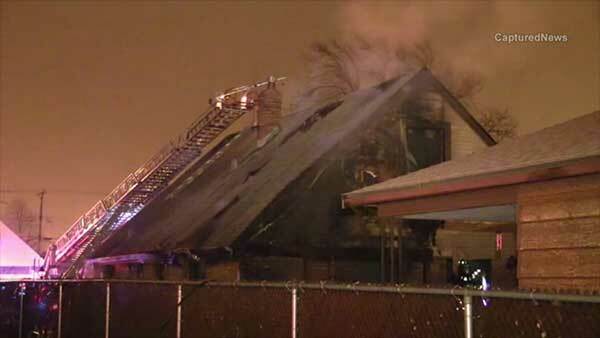 A man was critically injured in a house fire on Chicago's Southwest Side. CHICAGO (WLS) -- A man was critically injured in a house fire on Chicago's Southwest Side. Fire crews responded to a home in the 6100-block of South Nagle Avenue around 4 a.m. Monday. Firefighters pulled the man out of the home and gave him emergency treatment on the front lawn. He was rushed to MacNeal Hospital in critical condition. A firefighter suffered a minor shoulder injury while battling the blaze. He is expected to be OK.